Call 01202 064639 for a FREE no obligation survey and quotation or click here. Just complete your details below and we'll get back to you with a quote. What Does A Wood Burning Stove Installation Cost? If you already have a chimney, and assuming easy access and no major alterations, then having your wood burning stove installed won't cost the earth. 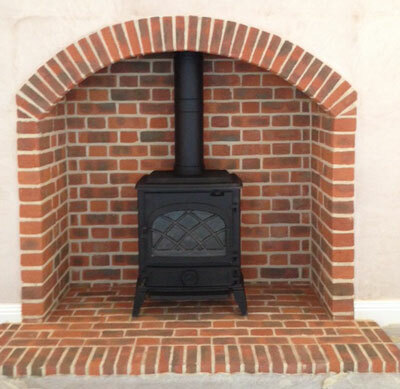 The price of wood burning stove installation increases though when access becomes difficult, or alterations, chimney repair and/or re-lining works are required. If you don't have a chimney, then a twin wall insulated stainless steel flue will need to be installed, passing either up through the roof or out through the wall, in order to safely expel the carbon monoxide gasses. Is My Home Suitable for A Wood Burner Installation? The first factor is a chimney – if you have one then that's great, alternatively, is their scope to install a twin wall flue system (as mentioned above). Another factor is whether you live in a smoke control area. Wood burner installation increases the smoke output from your home, so these smoke control areas are designated by each local authority in order to limit pollution. Find out here http://smokecontrol.defra.gov.uk/locations.php. They limit the type of appliance and the type of fuel that can be burned. You will need to consider if you have enough room for the storage of fuel such as logs or coal. Document J of the Building Regulations covers (Combustion Appliances & Fuel Storage Systems) covers wood burning stove installation (& multi fuel stove installation) but basically any work that affects an existing chimney or creating a new chimney comes under building control. Part L (Conservation of Fuel & Power) must also be taken into account. Our engineers can advise on the regulations and what applies in your situation. As mentioned above, some areas of the UK are designated smoke control areas. IF you live in one of these, you may still be able to have a solid fuel stove, but it must be one of the exempted smokeless stoves that has been certified by DEFRA for use in smoke control areas. We can advise on this. Will my Chimney Need Lining? To determine this, we would need to undertake a thorough inspection, possibly including a smoke test to see if it is gas tight. Fossil fuels give off carbon monoxide which is lethal, so the exhaust gases must be properly ventilated, so always use a HETAS approved engineer. Additionally a carbon monoxed alarm is required. If your chimney is deemed suitable for use without re-lining, it should be swept as a build up of soot residue can trigger a chimney fire. You will need to calculate the volume of the room to be heated, in order to determine what type of stove you require. Find the width, length and height and enter it in an online calculator such as this one to determine the heat output required as each stove is different. It will calculate the kilowatts required to bring the room up to a comfortable living temperature when it is-1 degrees C externally. The figure will need to be adjusted depending on other factors, such as if there is a large expanse of windows or door in the room, if the insulation is poor. Wood Burner or Multifuel Stove - Which Should I Chose? You will need to consider what type of fuel you will be using, and it's availability. 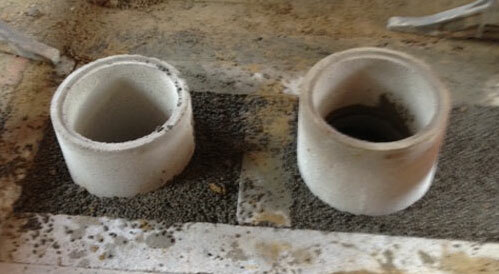 Wood burners are obviously designed for burning wood, and they burn it more efficiently than multi fuel stoves. Most fire wood in the UK comes from sustainable sources i.e. when one is chopped down, another is planted. If you plan to burn coal then you will need a multifuel stove. They can burn a variety of solid fuels such as wood, wood pellets, coal and peat, as opposed to just firewood. Obviously coal is a fossil fuel so burning it depletes the natural resource and contributes to greenhouse gases. Always check the specification of stoves that you are looking at. ©2017 Avon Forest Chimneys Ltd All Rights Reserved.